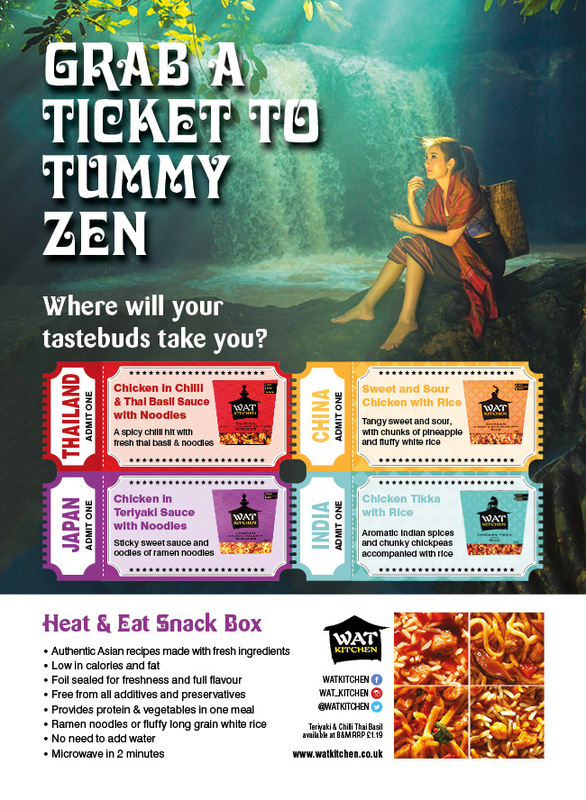 After scouring thousands of miles in Asia, we have created fresh tasting, authentic flavour packed boxes of lunch and snack loveliness, to fill you with total tummy zen... take your taste buds on a journey with WAT KITCHEN. Try one of our four tasty Asian street food flavours, all containing less than 350 calories, low in fat and providing vital veg and protein to ensure a healthy yet filling snack. So quick and simple to prepare, you won’t be hungry for long! !